The official website of Jamia Millia Islamia, one of the popular University of the country was hacked by hackers late night on Monday. The website was displaying a message ‘ Happy birthday Pooja’ with a black background for a long time. As soon as it came into the limelight, it spread like a fire on social media, the social media timeline of Jamia Milia Islamia students was flooded with the news. The official administration of Jamia Milia University said that his IT department will look after this problem and no police complaint has been registered regarding the matter. 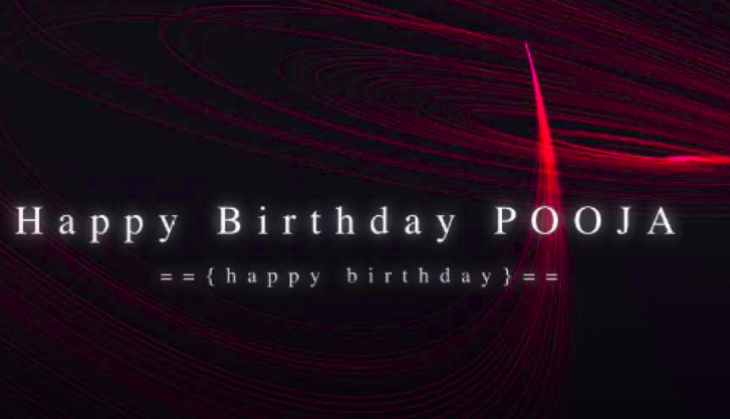 However, it is notable that hackers intention was just mischievous as they didn’t leave any group name or any other message,the just posted ‘ Happy birthday Pooja’ on http://jmi.ac.in link. The official website of university www.jim.ac.in was hacked around 12 am at night by hackers. They make the landing page completely black and wrote ‘Happy birthday Pooja’ on it. Below the message a small text ‘your love’ was moving like a ticker. Apart from it, T3AM was written in small text in the bottom. One of the university students tweeted that now the complete university knows about the birthday of pooja which is on 22 May. Watch: Indian girl drinks alcohol in front of her parents; the reaction of parents will laugh your head off!